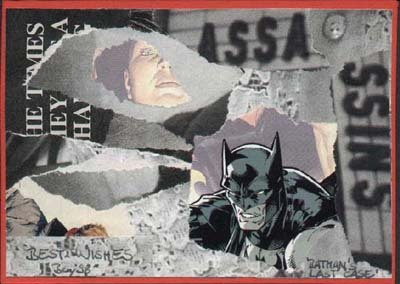 This postcard-size collage was created in 1998. It was probably intended as a present but was never handed over. A copy was printed on the Letters pages of the German Batman, No.26, January 1999. In the same year, Batman's last case was part of the exhibition at the Hauptbahnhof.